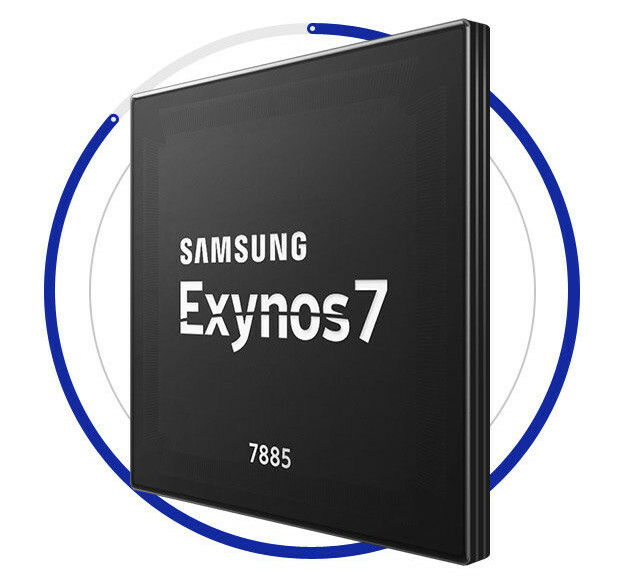 After unveiling Exynos 7872 Series5 hexa core processor in January, Samsung has now introduced a higher end Series7 octa-core processor with Cortex A73 and 53 cores, and a Mali-G71 MP2 GPU named Exynos 7885. The new processor also supports 18:9 Full HD+ displays, LTE Cat 12 for download up to 600 Mbps, dual camera, 4K 30 fps video decoding/encoding, and comes with an LPDDR4x memory interface. The Exynos 7885 is said to deliver up to 85% more single-core performance compared to its predecessor – Exynos 7880 – based on Cortex A53 cores clocked at up to 1.9 GHz. The new processor can be found in Galaxy A8/A8+ (2018) smartphone. Visit the processor page for further information.